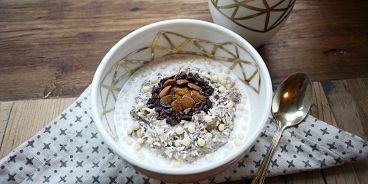 Oatmeal is a such a fabulous breakfast staple. It’s also incredibly versatile. Mix up your routine by adding these ingredients to your morning meal. 19. Egg nog for the holidays!